Intertape 520 48mm x 100m Natural Rubber Carton Sealing Tape work great for box closure and has the most aggressive adhesive of any pressure sensitive tape. 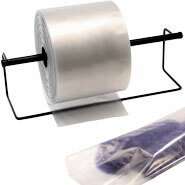 This Clear Premium Rubber Tape can with stand humid and damp conditions and has a 23 lbs. tensile strength per inch of width.